Join the local wise guys in a line that seems to perpetually wind around this suburban shack, and you’ll find a sandwich that can easily go toe-to-toe with any in Chicagoland. 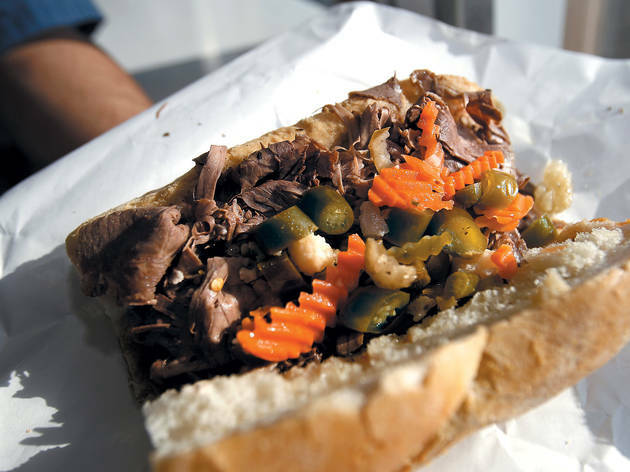 The Italian beefs come hot (giardiniera) or sweet (green bell pepper), and if you ask for it juicy, your sandwich will be doused with a generous helping of jus. The true reward for the wait, however, is the lemon Italian ice, the perfect refresher after an artery-clogging sandwich. Make sure to order your ice “no cover” to have the cup piled high with a precarious mountain of sweet and tangy goodness.. I was raised in Oak Park so naturally Johnnie's was a Sunday night staple in my family. 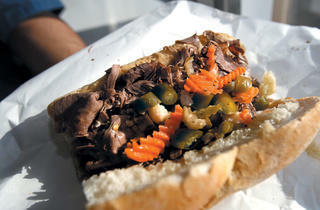 Many say Johnnie's serves the best italian beefs in the city and I could not agree more. What the establishment lacks in decor it more then makes up for in flavor. The only seating that is provided are picnic tables located outside so I would recommend going in the summer. Though its not in the heart of downtown Chicago it's definitely worth the trip. If you want to eat like a local try dipping your fries in their Italian ice, I know it may sound strange but it's delicious!